Check out our range of stylish and modern room types, from our comfortable Serenity Rooms through to our luxurious 350 m2 private pool residences. Serenity Room: 28 m2 / 323 sq.ft. Serenity Deluxe Room: 42 m2 / 452 sq.ft. Palm Cabana: 27 m2 / 291 sq.ft. Serenity Suite: 80 m2 / 860 sq.ft. 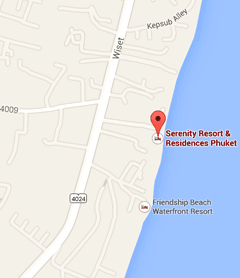 Serenity Seaview Suite: 200 m2 / 2,150 sq.ft. Grand Seaview Suite: 150 m2 / 1,610 sq.ft. Penthouse Seaview Suite: 280 m2 / 3,010 sq.ft. H20 Suite: 200 m2 / 2,150 sq.ft. Pool Residence: 350 m2 / 3,765 sq.ft. Just steps from the beach, the Pool Residences represent the best of tropical living. With a private pool and sundeck with direct access to the sea, a large living room and dining area, two bedrooms on the second floor each with sea views, and a private rooftop lounge overlooking the water, nothing is missing.